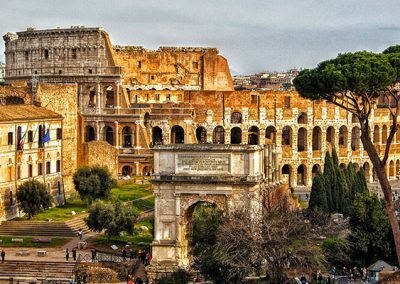 The Colosseum & Ancient Rome Area is for adventurous spirits, archaeology enthusiasts and seekers of breathtaking views! 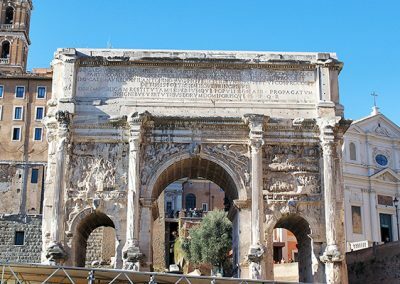 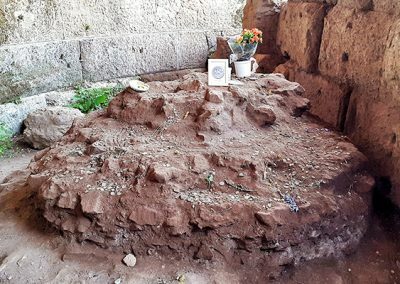 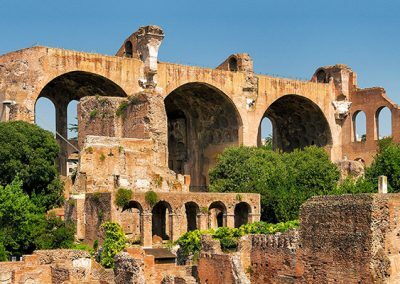 Even though Rome is a hectic city, counting more than 3 million inhabitants, the archaeological area of the Ancient Rome extends for over 10 hectares downtown Rome. 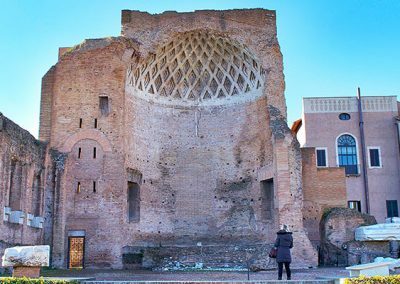 Over the years, excavation works have brought to light priceless evidence of the political, economic, and cultural heart of the Ancient Rome. 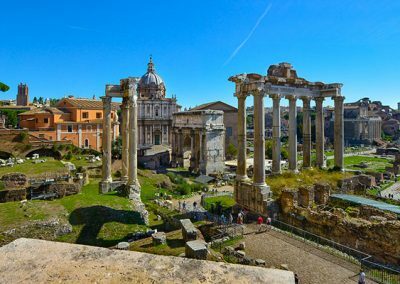 Visitors have the chance to explore the history and understand the evolution of the western civilization traveling back to 2,000 years. 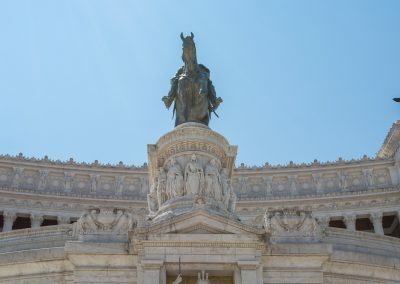 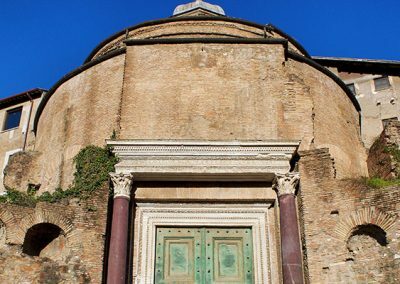 The imposing facade of the Altar of the Fatherland, one of the attractions of the Ancient Rome Area, is a reminder of the unification of Italy occurred in 1861, when Rome became the symbol of the country’s national identity at home and abroad. 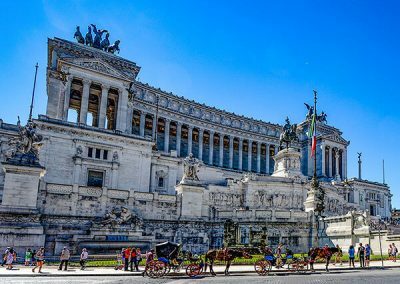 Although built only 200 years ago, the classical style and the winged-victories statues on top of the Altar of the Fatherland, recall the splendour of the ancient Greek-Roman architecture. 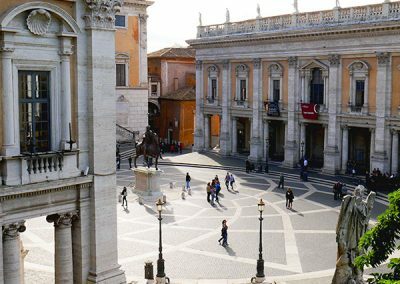 Climbing up the monumental staircase leading to the Capitoline Hill, you will stumble upon one of the most beautiful Renaissance squares in Italy, Piazza del Campidoglio, Michelangelo’s work! 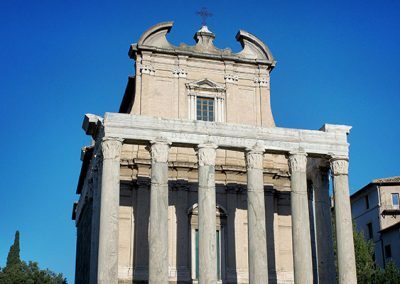 The monumental facade of Palazzo Senatorio hides one of the most breathtaking views of the Roman Forum, the main square of Ancient Rome! 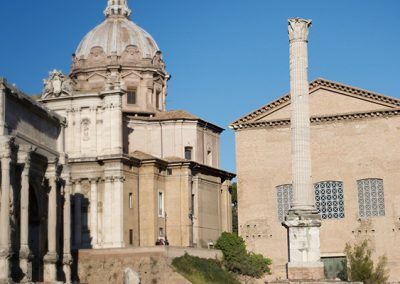 The Trajan Column marks the entrance to Via dei Fori Imperiali and to Trajan’s huge business center. 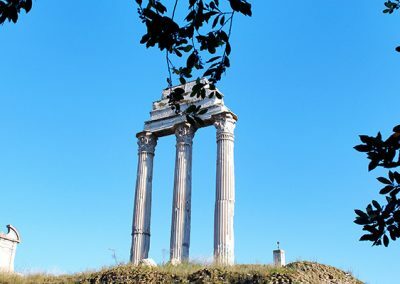 The ambitious Emperor had the column built to commemorate the wars (2nd century) of the Romans against barbarian populations coming from Eastern Europe. 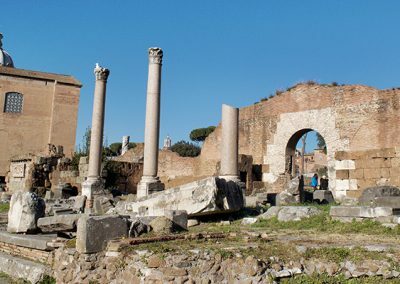 Keeping strolling down via dei Fori Imperiali you will find access to the Ancient Roman Forum. 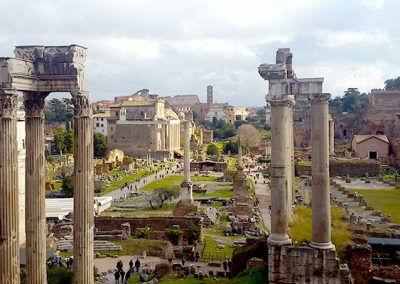 Visiting the Roman Forum is like traveling by a time machine! 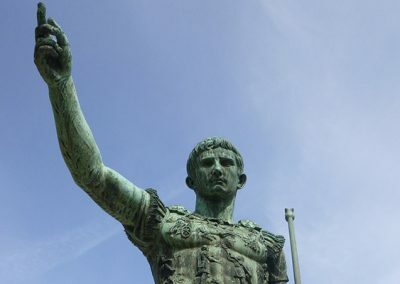 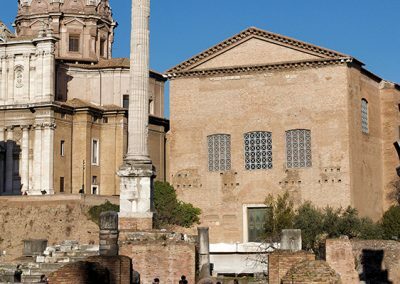 You will follow on the footsteps of Julius Caesar, visit the Senate where for thousands of years senators and emperors had decided the destiny of Mediterranean populations and countries. 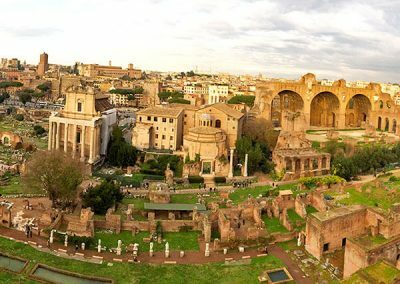 The valley the Roman Forum extends in is dominated by the vastness of the Palatine Hill, where the legendary founder of Rome, Romulus, built the first village of huts giving rise to a new world! 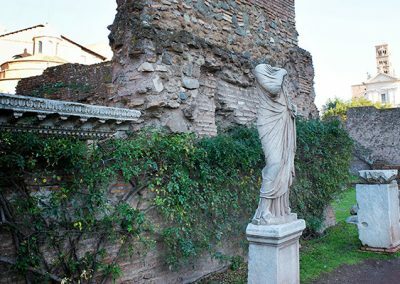 After the 1st century AD, the Palatine Hill became a place of mass entertainment. 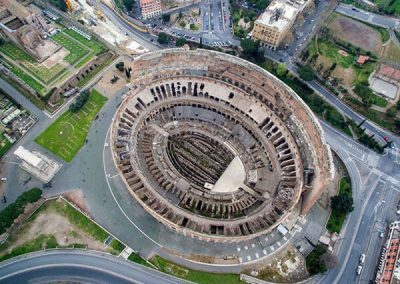 The biggest amphitheater ever was built: the Colosseum! 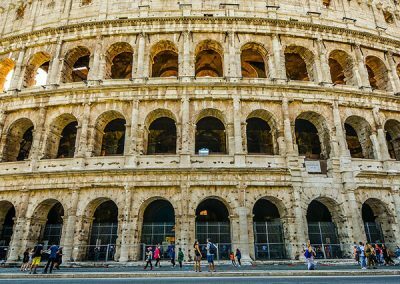 Millions of visitors come to Rome every year, eager to visit the ancient Flavian Amphitheater, so impressive to be rated among the New Seven World Wonders! 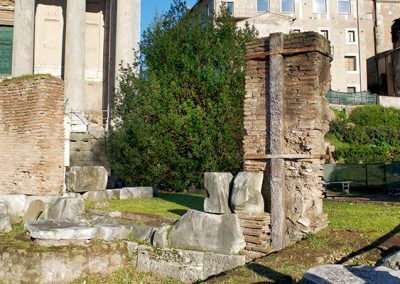 But the Ancient Rome Area comprises more than just ruins and ancient remains! 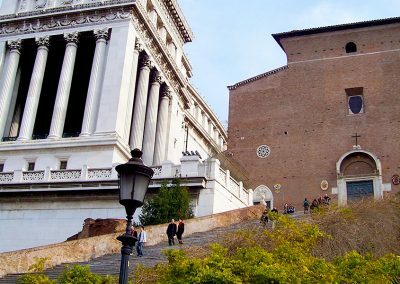 Not far from the Colosseum, stands the Church of San Pietro in Vincoli, also known in English as St. Peter in Chains, which houses one of the most beautiful attractions in Rome: the Moses Statue by Michelangelo. 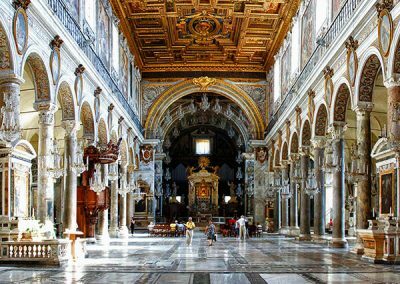 Whoever comes to Rome should not miss to see firsthand these masterpieces! 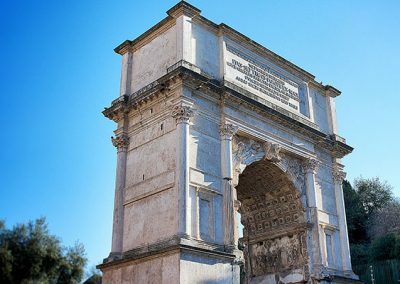 Get tips and tricks for your trip to Rome straight to your inbox, and become a smarter traveler!